Covenant Insurance Group is an Insurance Agency based in Dover, Pa. 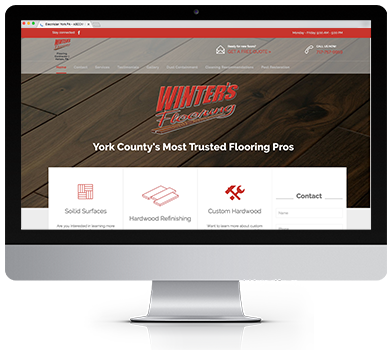 The challenge with this project was twofold: We needed to figure out a way to design a website that connects with the people in the local area while incorporating the look and feel of a national insurance company. 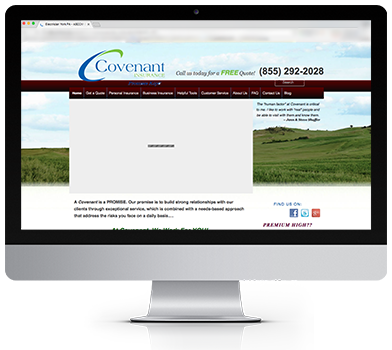 We dealt with the challenge by building a custom WordPress website for Covenant. 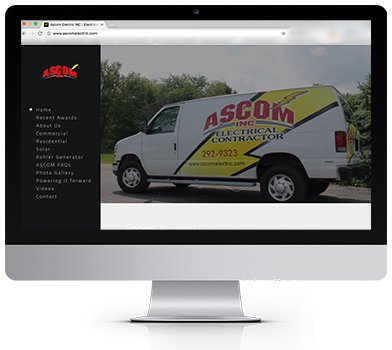 A user enters the site and they are greeted by a blue-collar construction worker. This connects with the local population in South Central Pennsylvania. 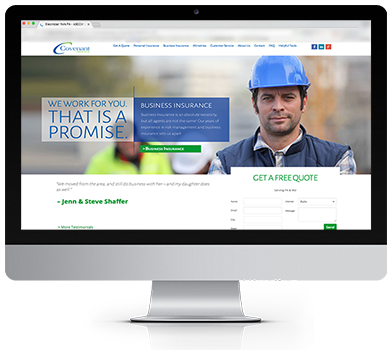 However, the site is modern, user-friendly and simple like many large insurance companies.